PET studies are frequently utilized to detect and stage cancers that cannot be fully explored via other imaging techniques. Cancers can cause abnormalities of blood flow or metabolism before structural changes are visible and, for this reason, PET can often detect cancer at an earlier stage than CT or MRI. The most commonly used radiopharmaceutical agent used with PET is Fluorodeoxyglucose F-18 or FDG. Because the PET images do not provide anatomic detail, they are usually electronically fused with CT or MRI images taken at the same time to create an image that shows the precise anatomic location of any hot spots. The two scans are performed while the patient remains on the same table in the same position, and sophisticated software fuses the images. The "limited area" codes (78811 and 78814) are used when only a single body area is studied or when the scan does not extend from skull base to mid thigh. For example, CPT Assistant (February 2013) states that the "limited area" codes should be used for a scan that extends from the skull to the groin. The whole body codes (78813 and 78816) are used for scans that extend from the top of the head, also known as the vertex, down to the feet or lower leg. This type of scan is most commonly performed for melanoma. If the scan does not include all of the required area, the provider should report it as a skull base to mid-thigh study (78812 or 78815). In addition to the applicable procedure code, the HCPCS Level 2 code for FDG, A9552 (Fluorodeoxyglucose F-18 FDG, diagnostic per study dose, up to 45 millicuries) should also be assigned. The radiologist dictates a separate interpretation for the diagnostic CT scan. This should include the clinical indications for the diagnostic study. In the 2018 National Correct Coding Initiative (NCCI) Policy Manual, CMS issued a new policy on coding for diagnostic CT with PET/CT. When a diagnostic CT scan is performed on the PET/CT scanner, the provider must report the PET scan using a code from series 78811–78813. These codes represent PET without concurrently acquired CT. The diagnostic CT scan can be reported with the appropriate CT code, which varies by anatomy evaluated, and modifier 59 (Distinct Procedural Service) or XU (Unusual nonoverlapping service) applied to the CT code, depending on payer guidelines. 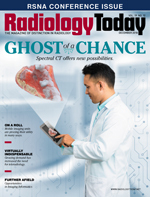 According to the NCCI Policy Manual made effective January 1, 2018, "If the data set for the diagnostic CT is obtained concurrently on the same PET/CT integrated system where the CT portion of the study is coregistered with the PET images for the purpose of attenuation correction and anatomic localization, the diagnostic CT CPT code may be reported with PET CPT codes 78811–78813 utilizing an NCCI-associated modifier." The manual also indicates that a CT code should not be assigned together with a PET/CT code unless the PET/CT and the diagnostic CT are performed on "separate pieces of equipment." • to determine the anatomic extent of the tumor when the recommended antitumor treatment reasonably depends on the extent of the tumor. Initial treatment strategy scans must be submitted to Medicare with modifier PI (Positron Emission Tomography [PET] or PET/Computed Tomography [CT] to inform the initial treatment strategy of tumors that are biopsy proven or strongly suspected of being cancerous based on other diagnostic testing) on the scan code. This requirement applies to both the imaging facility—hospital or freestanding—and the interpreting physician. The NCD allows for coverage of only one initial treatment strategy scan per cancer per patient. For example, if a patient has an initial treatment strategy scan for lung cancer, and several years later the patient is found to have colon cancer, an initial treatment strategy scan can be billed for the colon cancer. The Medicare NCD defines subsequent treatment strategy scans as those that are performed to guide subsequent management of antitumor treatment strategy after completion of initial anticancer therapy. This is often referred to as "restaging," which is a reevaluation of the cancer stage following completion of a course of treatment. Medicare does not cover studies performed for surveillance purposes in a patient with previously treated cancer who has no clinical evidence to suggest active disease. These studies are considered to be screening rather than subsequent treatment strategy scans. Subsequent treatment strategy scans must be submitted to Medicare with modifier PS (Positron Emission Tomography [PET] or PET/Computed Tomography [CT] to inform the subsequent treatment strategy of cancerous tumors when the beneficiary's treating physician determines that the PET study is needed to inform subsequent antitumor strategy) on the scan code. This requirement also applies to both the imaging facility—hospital or freestanding—and the interpreting physician. The NCD allows for coverage of no more than three subsequent treatment strategy scans. The claims edits required to enforce the three-scan limit were not fully implemented until November 2014, even though the provision technically went into effect in 2013. Professional and technical services are counted separately, and global claims count as one professional and one technical service. If a patient has more than one type of cancer, there is a separate three-scan limit for each cancer. For example, if the patient had previous scans for colon cancer and later needs scans for lung cancer, the prior colon cancer scans will not be counted. In addition to the three subsequent treatment strategy scans covered under the NCD, local Medicare contractors and Medicare Advantage plans have the authority to cover additional scans, if desired. If Medicare coverage criteria are met, the provider should apply modifier KX (Requirements specified in the medical policy have been met) to the claim for the fourth or subsequent scan. Modifier KX is used in addition to modifier PS, not instead of it. According to Transmittal 3162 (January 8, 2015), "The use of the –KX modifier attests that: 1) the requirements specified in the MAC [Medicare Administrative Contractor]s' medical policy have been met, and, 2) the claim is for >3 FDG oncologic PET scans." Keep in mind that modifier KX should not be applied if the scan is performed to monitor tumor response during treatment when no change in therapy is contemplated or when it is performed for surveillance purposes after completed treatment. These uses do not meet Medicare's coverage criteria for PET. Providers should consider issuing an Advance Beneficiary Notice for the fourth and subsequent scans, since the Medicare contractor may determine that they are not medically necessary. When the patient's prior PET scans were performed for a different cancer diagnosis, modifier KX should not be applied. In this situation, the provider should simply apply the PI or PS modifier, and the scan count will restart, based on the diagnosis code. Even though the PET and PET/CT codes have been in existence for a number of years, the coding, billing, and reimbursement guidelines do continue to change. Given the recent NCCI coding guideline change, it is important to ensure that your organization is appropriately assigning CPT codes for compliant claim submission. 1. Medicare coverage rule for PET/CT & diagnostic CT on SDOS. SNMMI website. http://www-snmmi.cms-plus.com/ClinicalPractice/QandADetail.aspx?ItemNumber=1841. Updated August 1, 2006. Accessed November 10, 2017.